Alexander Povetkin is close to agreeing a fight with IBF, WBA and WBO world champion Anthony Joshua, according to the Russian’s promoter. 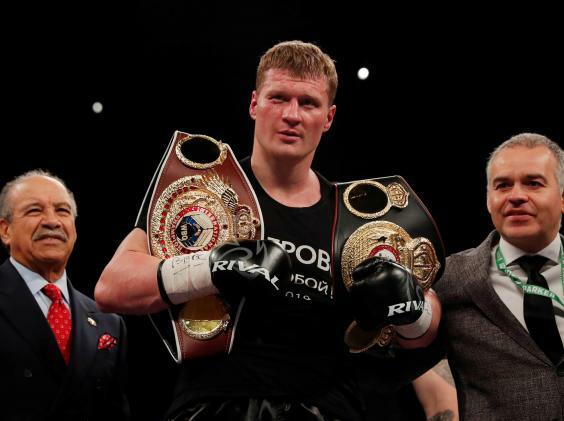 Povetkin knocked out David Price on the Joshua vs Parker undercard in March to retain his WBA Inter-Continental and WBO International heavyweight titles, and was named as mandatory challenger for his WBA (Super) belt the week after. The WBA ordered Joshua and Povetkin to reach an agreement within 30 days or go to a purse bid. And Povetkin’s promoter, Vadim Kornilov, has said that a fight between the pair is close to being agreed. “Right now the negotiations have being initiated, and I think that within a week everything will be clear,” Kornilov commented on Tuesday. “The chances for a fight to happen are very high. Alexander really wants this fight, we’ll do everything to make it. Kornilov added that he is confident Povetkin has what it takes to become the first man to defeat Joshua, who retains a flawless professional record after 21 fights. 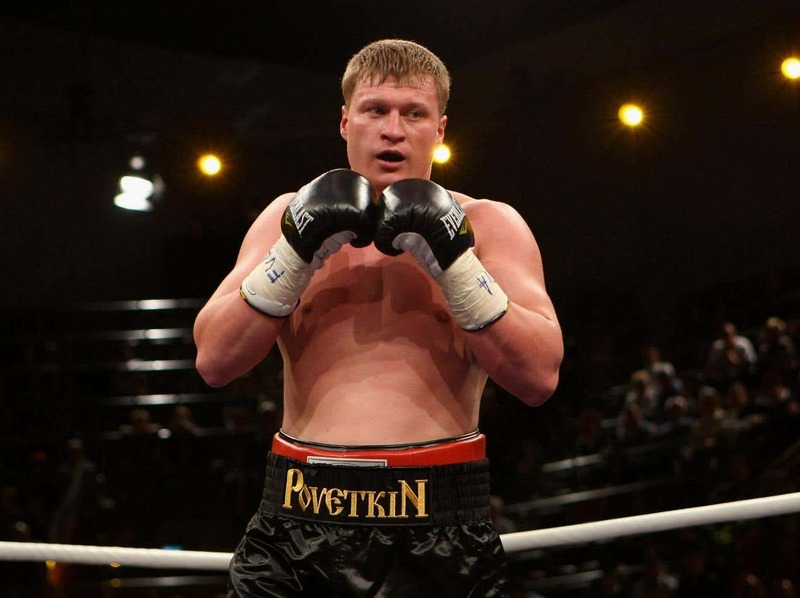 Povetkin, 38, has lost just once in 34 contests, to Wladimir Klitschko by unanimous decision in 2013. He has beaten the likes of Marco Huck, Carlos Takam and Christian Hammer, and held the WBA (Regular) heavyweight title from 2011 to 2013. “Right now Alexander is not even thing about fighting anyone else. Alexander is one of the most experienced fighters in this weight class,” he said. 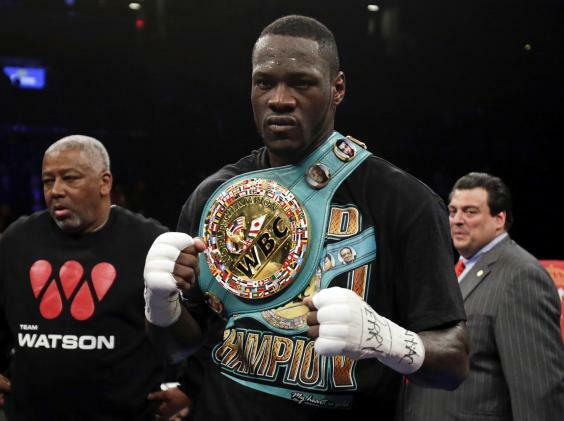 A fight between Joshua and Povetkin would naturally delay a unification showdown with WBC champion Deontay Wilder, although on the same day as Kornilov spoke, Eddie Hearnrevealed that fighting the American remains Joshua’s priority. Hearn has said that he will meet with Wilder’s team in New York this week, but conceded Povetkin will likely be Joshua’s next opponent should the protracted negotiations once again collapse. “Anthony’s made it clear – that’s the fight he wants next, the Deontay Wilder fight,” Hearn told Sky Sports. “With these mandatories coming up as well, Povetkin, and the possible IBF mandatory, I’ve said before there’s not many opportunities to make an undisputed fight. Really the focus is for us to make the Deontay Wilder fight next. After defeating Parker on points at the end of March, Joshua outlined his ambitions for another two fights this year, meaning he could yet face Wilder in December providing he defends his belts against Povetkin in the summer. “We made an offer [to Wilder] last week. We haven’t heard from them yet,” Hearn added. “There’s been a bit of talking behind the scenes. The controversial American, unbeaten in a 40-fight career, is the opponent most boxing fans want to see next for Joshua. Promoter Eddie Hearn has not ruled out the prospect of it happening this year, although he has admitted to a degree of frustration regarding the approach of Wilder’s management. If it does take place, then a win for Joshua would see him take Wilder’s WBC belt and make him undisputed heavyweight king. Unbeaten American Miller has made it clear he wants to face Joshua, and there are few who could doubt that he deserves a world title chance. 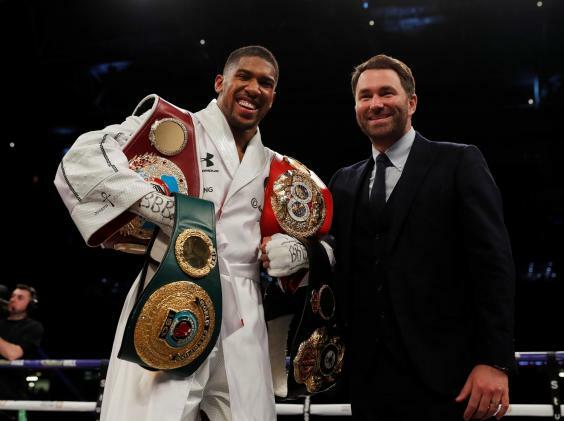 Hearn is understood to be keen on a Joshua versus Miller encounter, and the Brooklyn-born heavyweight could well be Joshua’s next opponent, especially if the Briton takes a fight this summer. Povetkin, a 38-year-old Russian, showed his considerable punching power by inflicting a fifth-round knockout on Liverpool’s David Price in an undercard fight on Saturday’s bill at the Principality Stadium. He is the mandatory WBO challenger and would undoubtedly be viewed as a dangerous opponent, but any fight would potentially lack the pulling power of a Wilder showdown. 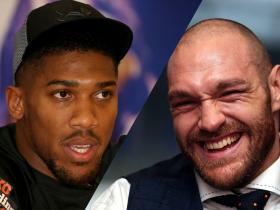 Joshua has made public his desire to fight former world champion and fellow Briton Fury, and while the contest could easily happen, it is likely to be some way down the line given that Fury has not fought since 2015 and is still working his way back to fitness. It would, though, be a contest that captures the imagination.